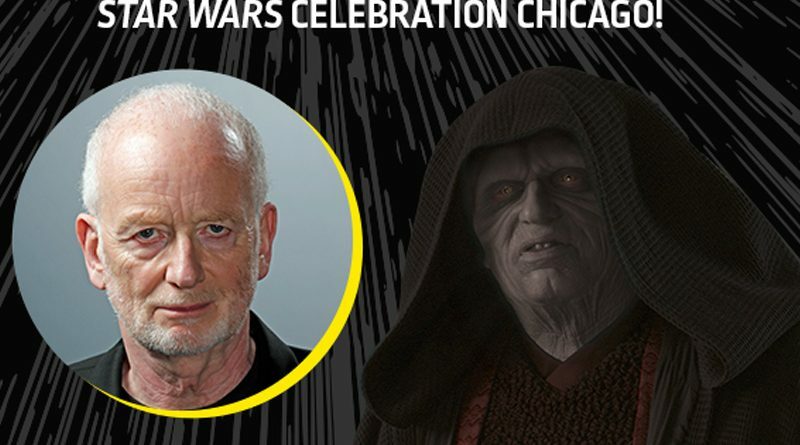 Ian McDiarmid, Emperor Palpatine, will be at Star Wars Celebration Chicago this April. He’s joined by Brian Herring and Mark Dodson, who brought BB-8 and Salacious Crumb, respectively, to life. It was also announced that pre-orders for autographs and photo ops will be available starting Wednesday, February 13th at 3:00PM EST. A list of currently announces guests with prices and signing days is already available on StarWarsCelebration.com. Star Wars Celebration Chicago opens on Thursday, April 11th and runs through Monday the 15th. A full list of guests can be found on StarWarsCelebration.com.